Call us for immediate support for service, repairs & installations to: Ovens • Cookers • Microwave Ovens • Hobs • Extractors • Dishwashers • Washing Machines • Tumble Dryers • Fridges • Freezers • Vacuum Cleaners • Coffee Machines in Portsmouth, Chichester, East Meon, Fareham, Gosport, Hambledon, Havant, Hayling Island, Lee on the Solent, Waterlooville, Waterlooville, Waterlooville, Petersfield, Waterlooville, Waterlooville, and most of the following counties Hampshire, Wiltshire, Berkshire, Surrey and Buckinghamshire. 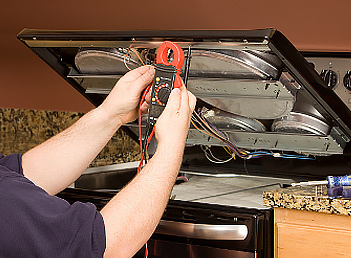 Are you in Waterlooville and have an Domestic or Commercial Appliance that requires repair? We have a team of fully trained Domestic or Commercial Appliance engineers throughout Hampshire and are able to deal with your need for a speedy Domestic or Commercial Appliance repair in Waterlooville and get you back up and running as soon as possible. All our Waterlooville Domestic or Commercial Appliance repairs parts will be guaranteed for 12 months, so long as these parts were supplied and fitted by us.